FAIRFIELD — The person who represents the 134th District has to satisfy constituents in two towns — Fairfield and Trumbull. It’s the only one of the three state House districts that is split between two communities, and since 2014, Republican Laura Devlin has been its representative. She is challenged this year by Democrat Ashley Gaudiano. A Fairfield resident for 25 years, Devlin said she first got involved in local politics as a member of the Board of Assessment Appeals and then the Representative Town Meeting, prompted, she said, by skyrocketing property taxes. The state’s fiscal issues are no secret. She said some of the reforms her party worked to include in the budget compromise were implementing strict spending, borrowing and revenue caps. “These changes will help keep government spending in check, require prioritization of state bonding on capital projects, and require any unexpected extra revenue go toward paying down long-term debts. 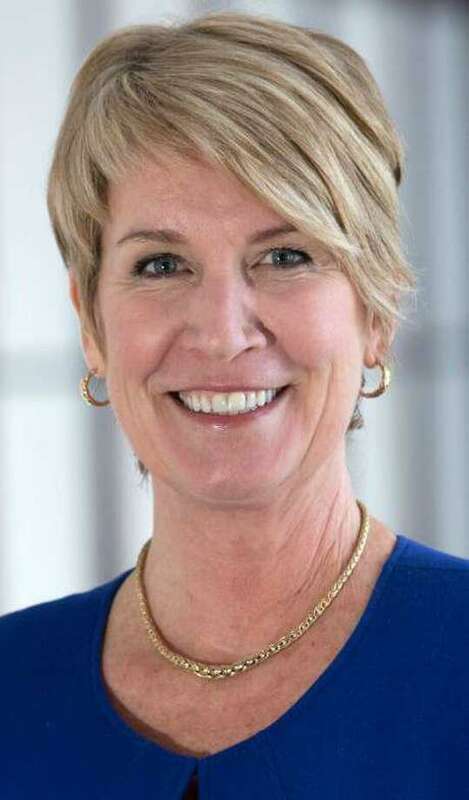 Connecticut can’t continue to operate by kicking the fiscal can down the road for future generations to pay,” Devlin said. “Families, local leaders and businesses are hungry for predictable and sustainable state budget plans, but instead are continually being threatened with education and municipal aid cuts that only drive property taxes up,” Devlin said. “The communities I represent are fiscally responsible and have been continually targeted for cuts by Gov. (Dannel) Malloy. I have fought against and stopped cuts for Fairfield and Trumbull’s education and state funding. A nonprofit consultant, Trumbull resident Gaudiano serves on the Trumbull Town Council. Gaudiano said the state needs to invest in small and midsized businesses. “We also need to create innovation corridors between our high schools, universities and job markets, so that our graduates come out with the knowledge and skills necessary to fill jobs right here in our state,” she said, as well as look at affordability, so young people have the opportunity to live, work and raise families in Connecticut. Gaudiano supports phasing in a higher minimum wage and passing earned family medical leave legislation, as well as expanding access to early education and ensure stable work scheduling for on-call workers. “We must support the work of the Pension Sustainability Commission, and investigate the feasibility of utilizing real assets as a form of payment against our unfunded pension liabilities,” Gaudiano said. The two find themselves on the same page when it comes to the issue of so-called “ghost guns” and 3D printed guns. “I strongly support legislation that bans ghost guns and 3D printable guns,” Gaudiano said. “We owe it to our children, our neighbors and our communities to pass this legislation.” Named a Moms Demand Action Candidate of Distinction, Gaudiano said she has pledged to push for legislation on these issues in the 2019 session. “I co-sponsored the ghost gun legislation, HB-5540, which would ban guns without serial numbers and regulate those which are sold in a form requiring the purchaser to finish assembly or that are homemade,” Devlin said, although she said the bill wasn’t called for a vote in the last session. She also co-sponsored and voted for Public Act 18-29, banning bump stocks. Should she win re-election, Devlin said she will spend the next session working to make the state more affordable for all its residents. She cited a recent report from the Pew Charitable Trusts ranking Connecticut with the lowest personal income growth of any state since 2007. Gaudiano said the first thing she’d like to do is offer the residents of the 134th an “ally and advocate” in Hartford. An attorney, small business owner and community volunteer, Gaudiano said her skills and career make her uniquely positioned to advocate for the community. After a corporate career, Devlin is also a small business owner. “I have repeatedly stood up for residents and businesses, and I have worked hard to secure our municipal and education funding, stop tax increases, promote job opportunity, preserve the environment, help craft and pass legislation to combat opioid abuse, champion education initiatives, and support the health of firefighters, women and families,” Devlin said. Devlin has been endorsed by the Connecticut Independent Party, the Association of Retired Teachers of Connecticut, the Connecticut Business and Industry Association, the National Federation of Independent Businesses, the Connecticut Realtors and the Connecticut League of Conservation Voters. Her opponent, Gaudiano, has received endorsements from the AFL-CIO, Moms Demand Action, Run For Something, Women’s March CT, NOW-CT, Planned Parenthood, Uniformed Professional Firefighters Association of CT, NARAL, CEA and the National Association of Social Workers.